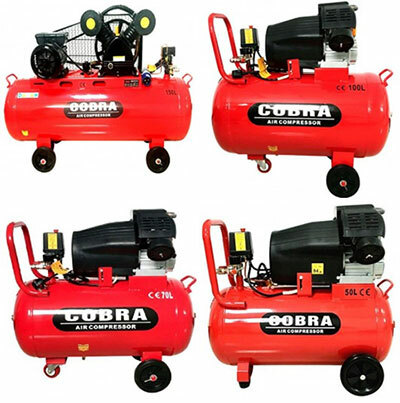 We now have an exclusive range of wholesale Cobra air compressors in stock for our customers. The air compressors come in four sizes: 50 litre, 70 litre, 100 litre and a special 150 litre belt-driven air compressor. They are very high quality products with a robust design which is built to last. The stock is brand new. They are available to trade customers only where the minimum spend is £2000. We advise our customers to contact us as quickly as possible as we're experiencing a high demand for the air compressors.